Edogawa Rampo (Hirai Taro, 1894-1965) is widely regarded as the father of Japanese mystery writing. Born in Mie Prefecture, he graduated in 1916 from Waseda University and took on a series of odd jobs, working as an accountant, clerk, salesman, and peddler of noodles from a cart, before discovering his vocation as a writer. 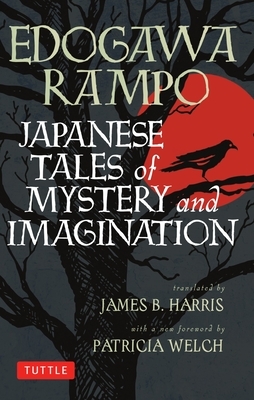 The first modern writer of mysteries in Japan, and long-time president of the Japan Mystery Writers' Club, Rampo derived his pen name from the Japanese pronunciation of Edgar Allan Poe, under whose spell he fell early in his career. Dr. Patricia Welch is an Associate Professor of Japanese and Comparative Literature in the Department of Comparative Literature at Hofstra University.